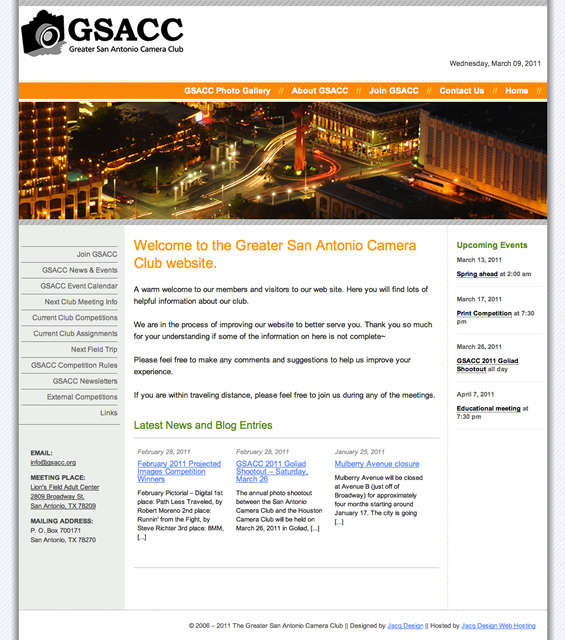 We joined the Greater San Antonio Camera Club when we were in San Antonio and was given the opportunity to redesign their club logo and website in 2005. This site was powered by WordPress with custom designed theme. Update: The website has since been taken over and redesigned by another member, we wish them best of luck.